Anyone suggest a route between France( Grenoble area) and Milan area ,VFR , below FL100,summer time...? Bourg-Saint-Maurice then over the Petit St. Bernard pass, down the Aosta valley into the Po plain? Pass is only ~7,200ASL. 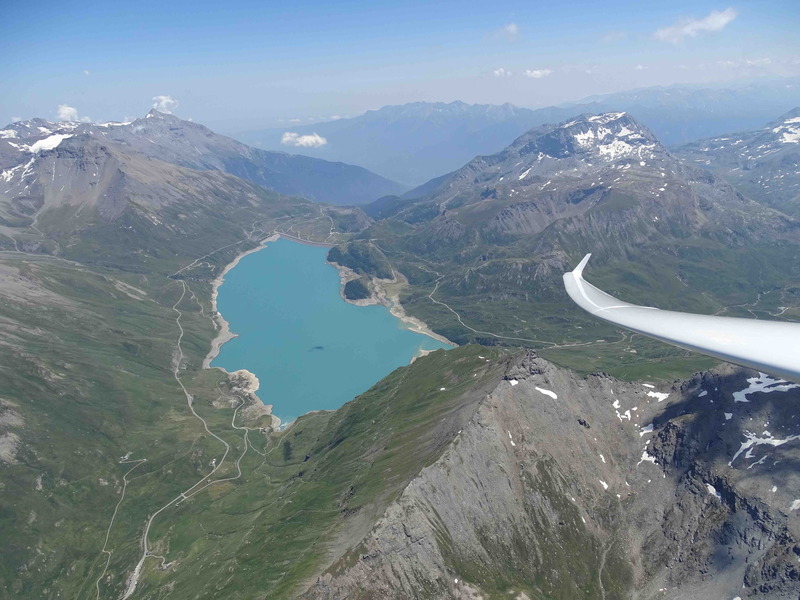 I once heard an enthusiastic report of some microlight pilot crossing at the "Col du Mont Cenis". But as I understand from hearsay, everything depends on local circumstances, and they can and do change quickly. I would recommend 1) to not plan anything firmly anyway 2) to plan lots of slack time, to wait out weather 3) to get local advice. Perhaps Gap-Tallard aerodrome might be a good starting point, or Albertville (but mind the limitations). Lots of experienced pilots around - speaking a bit of local language might help a lot. I’ve flown across a lot of the passes in that area, mostly in gliders it has to be said but we are quite sensitive to the weather. The major issue is that the alps along the French/Italian border normally delineate what’s called a “climatic barrier”. The weather can change drastically over a very short distance as often dry air from the mountains meets damp air from the Po valley in a convergence, which can trigger meaty storms. 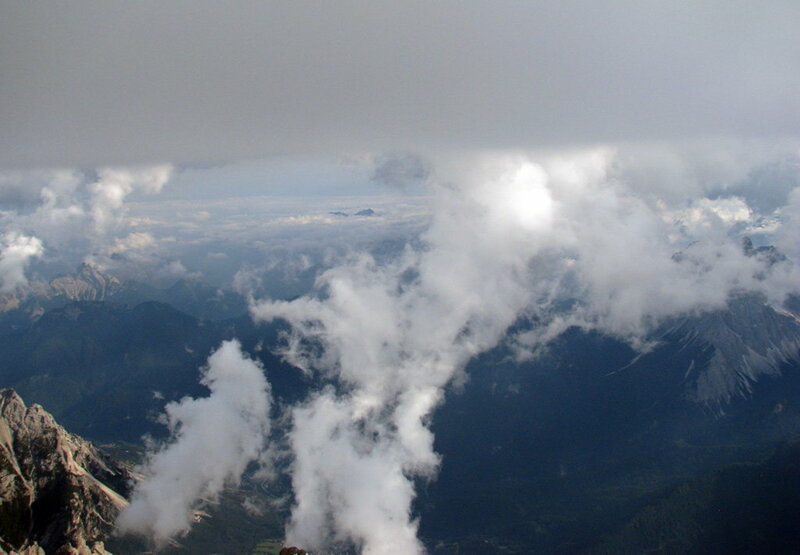 On one side it’s 12,000’+ cloud bases and 10km away there is 8/8 stratus < 1,000AGL. Often the conditions on the Italian side are the limiting ones as it can get pretty murky when there’s not much wind and haze gets trapped under an inversion. Last edited by FullWings; 2nd Apr 2019 at 07:07. @FullWings: thanks, that confirms my (non-flying) experience of the Po valley often being foggy. Would the climatic barrier be less pronounced when entering Italy from the North, from Switzerland or Austria? Would the climatic barrier be less pronounced when entering Italy from the North, from Switzerland or Austria? In my experience, sometimes, a bit. If there is a significant northerly component to the wind at mountain level, you get a föhn which clears out a lot of the muck. Otherwise, the valley breezes dominate and pull the “Po poo” quite deep into the mountains. It can get messy around the Italian Lakes but as the mountains aren’t as high, the climatic barrier appears to smear out a bit so it’s often a gradual change to the conditions on the plain, rather than a step one. There is a site where you can get predictions for the major cross-alpine routes, in terms of vis, cloud AGL, VFR/IFR, etc. but I can’t find it at the moment. Last edited by FullWings; 2nd Apr 2019 at 07:08. 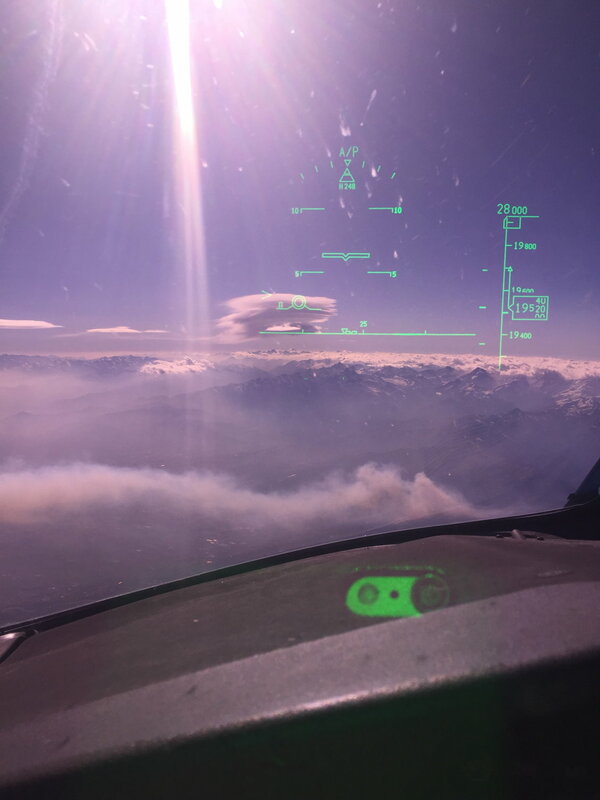 Stable, murky air in Italy (stable until/unless thunderstorms arise) with low base cumuli and clear weather (with beautiful thermals) on the French side. Will be an issue with southern winds due to the Stau/Fohn. With a glider the preferred route would be via the Montgenèvre pass. Watch out for natural reserves. 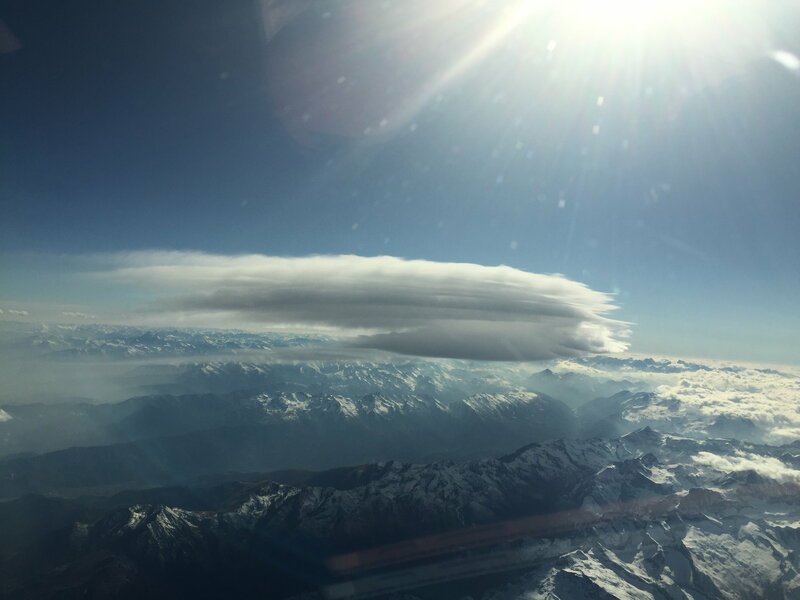 I’m based in Milan my advice is watch out for turbulence if you’re planning to fly close to the mountains as occasionally the turbulence can be extreme. 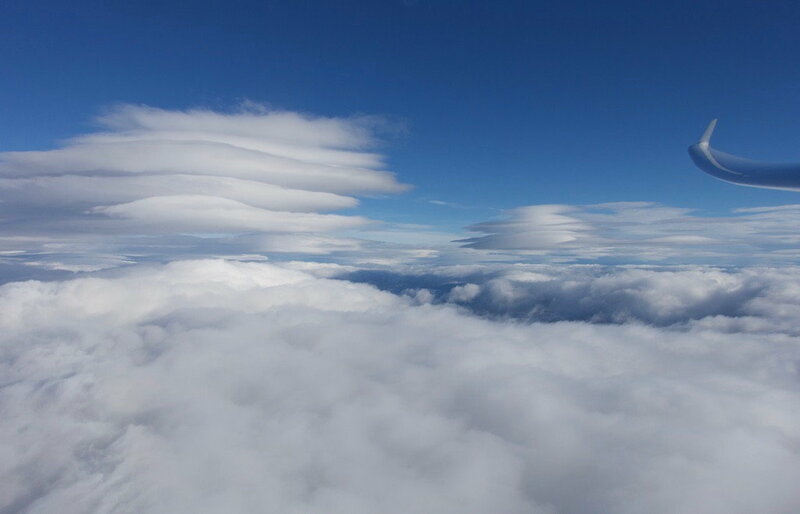 Altocumulus lenticularis, the glider pilot’s friend! Can get a bit nasty if there's rotor underneath.